Why The Quandary Regarding US Poker? Ever heard the date April 15th 2011 mentioned in relation to US poker? Well, it was a sad day for online poker players, especially those who did not just play for fun but for the money element. After months and years of making a living off online gambling, avid poker players woke up to the devastating news that the prevailing poker law had caught up with their favorite online poker hosts. As such, Poker Stars and Full Tilt Poker, as well as Cereus, poker sites that had become home to many online poker enthusiasts were no longer going to operate. In fact, only later were those online gambling sites open for operations outside the US. The fateful day became known unanimously amidst the poker fraternity as Black Friday. Anyone who has had a whiff of how the atmosphere was like during that time when a ban was suddenly put on what were then the biggest poker sites in the US, cannot help but question the reliability of online poker sites. However, it is brightening to know that within a week’s time, the online poker players who had deposits with the poker sites were able to withdraw their money, and in slightly more than a year, the sites were able to resume operations. What Has Changed Since Black Friday? Evidently, the poker traffic online is testament to the fact that the online gambling environment is very different now from what it was back in the day when vibrant online poker sites were brought down by government without prior notice. At the time, major players in the poker arena assumed that the law that was passed in 2006 – UIGEA – was for others in the cyberspace but not them. As such, they kept reaping heavily as they had already been doing since 2003 when interest in online poker began to significantly shoot up. In addition, the online poker sites had become a safe haven for money launderers, who saw an avenue to sanitize their ill gotten money. Today, however, every online poker site is aware of the keen monitoring that the US government does, of every site or institution that receives money from the public. Even serious poker players, particularly those looking to win big monies from online poker sites, are able to see the transparency with which the online poker sites operate today. For example, it is always clear what the stakes are at the World Series of Poker. Anyone can see what the prizes are at every stage, and even the size of every significant win. Hence, as far as exchange of money and the revenues from the online poker sites is concerned, not much can be concealed, least of all, from the country’s gambling regulating body. If you want to log onto an online poker site that is hosted outside the US and is subject to the laws of another jurisdiction, it is your choice. Otherwise, for a poker site hosted in the US, you need to confirm that the online gambling site is registered and licensed accordingly. Often such a site will provide basic details regarding its existence, including the license under which it is operating. In addition, anyone would expect a credible online poker site to proudly mention poker players who have won big prizes from their site over time, and also the sizeable prizes that site patrons have taken home over time. Once you have established that the poker site is operating legally and that it is proud of the manner it operates, you can be sure you stand a fair chance to win cash prizes, and that the site is not cheating the exchequer of tax revenues. The controversy surrounding the legality of online poker in the US is unusual considering that the free market system is a major cornerstone of the American way of life, especially when poker is more commonly referred to as ‘America’s card game’. To expert players and the general public, poker is a sport and that’s the reason it’s now a televised event on TV. Contrary to what some people may think, there’s no federal law in the US that specifically outlaws playing poker online. However, state laws may or may not forbid online poker depending on the state you are in. The Federal Wire Act, also known as Interstate Wire Act, which was passed in 1961, prohibited the operation of all betting businesses. This, position was however reversed in 2011 by the Justice Department, which stated that the Federal Wire Act only applied to sports betting. [UIGEA] criminalized accepting payments from illegal online gambling. As a practical matter, “illegal online gambling” was not defined and because the Wire Act solelyapplied to sports betting, online poker was not prohibited. Although UIGEA did not render online poker as illegalunless state laws indicated otherwise, it made life harder such that many online poker rooms stopped accepting US players. Founded in Washington in 2005, the political advocacy group Poker Player’s Alliance [PPA] was formed to protect USpoker players’rights. Their brief includes reversing UIGEA plus fighting to legalize online poker. Multiple congressional bills have been tabled to amend UIGEA and make an exception for online poker but none have passed so far. On April 15, 2011, the DOJ [Department of Justice] shut down the three poker sites with the most traffic [the Cereus Network, Full Tilt Poker and Poker Stars] on charges of fraud and money laundering which violated UIGEA.In July, 2012, the U.S. government dismissed the suit “with prejudice” though a criminal charge against the three still held. Full Tilt Poker and PokerStars would eventually settle without admitting guilt. The Black Friday events didn’t criminalize online poker although they affected actual play from which the industry has yet to recover. The states of New Jersey, Nevada and Delaware have passed laws that explicitly legalize and regulating gambling on the internet.To legally gamble in any of these states, a player must operate their playing device within the state and be of gambling age. The three states aren’t the only ones where the game is legal but they’re the only jurisdictions that have specific laws legalizing and regulating online poker. In the US, unless a law prohibits it, an activity is legal which means the lack of laws in some states does translate to committing of a felony. The big question then becomes, can US residents play real money poker legally on the internet? The short answer is; state laws vary. The general state gambling laws have made online poker illegal in most cases. While only New Jersey, Nevada and Delaware have legalized and regulated online poker, the only state which has a law explicitly forbidding playing poker for real money is Washington DC. Washington State passed a law in 2006 made playing online poker a serious crime. Currently, there are at least nine other states which have proposals to legalize and regulate online poker. And as far as we can tell, no one within the US has been convicted or indicted for a crime that’s related to playing online poker for real money, so far anyway. This, however, could change in the blink of an eye and players are therefore advised to only play online poker if it is legal where they live. South Africa has had a vibrant gambling arena for many years. Unfortunately, some people have been known to abuse the free gaming atmosphere to the detriment of genuine poker lovers and other sincere gaming enthusiasts. To curb this abuse, the country decided to accommodate gambling within the state laws so that authorities could have legal basis to monitor activities in casinos and other gambling venues. For centuries before, gambling and associated betting sports like poker were greatly restricted – as far back as 1673. Then came 1965 and a substantive gambling act was passed where gambling activity was banned in its entirety, save for betting in horse racing where horse racing was classified as a sports activity. In short, whoever engaged in playing poker or any other betting activity in South Africa did it illegally from 1965 on wards. Yet, gambling continued in the country, escalating in the ‘70s, with around 2000 illegal casinos coming up in the poor neighborhoods of the country. Unfortunately, banning gambling and not effectively controlling it on the ground leaves much room for illegal activity. For one, in the case of South Africa, a lot of gambling went on for many years without the government benefiting from its due share of revenues in an area where massive monies changed hands. Without relevant state laws in place to legalize an activity, a country cannot levy taxes on it. Another danger that was posed by the underground gambling was money laundering. People played poker and other betting games with reckless abandon. In the meantime, other people went on a crime committing spree under the guise of innocent gambling, whereas they were actually laundering money without being traced. Other gambling related crimes were also committed within the country just because there was no poker law or any other gambling law helping to control the size of stakes and overall amount spent by an individual within set timelines and venues. So, heavy indebtedness created a very unhealthy gambling environment. Effectively in 1996, South Africa passed the National Gambling Act which legalized brick and mortar casinos; a national lottery; and singled out betting in horse racing as a legal gambling activity. So today, not only do the state laws facilitate revenue collection through taxation from gambling, they also give room for the authorities to monitor betting activities with a view to curbing crime. Needless to say, money laundering is not just dangerous to the economy; it is also risky in terms of channeling funding for terrorist activities. As far as online gambling is concerned, there is a bill in the pipeline, which proposes the minimum gambling age to be 18 years. It also seeks to protect gamblers from addiction by closely monitoring the gambling scene. South Africa seems to be coming up with tighter state laws on gambling than many other countries. The current bill even proposes that a gambler registers officially with a licensed provider of online poker or whatever other online gambling activity it is. When this bill is finally signed into law, even those gaming enthusiasts who have been playing online poker on illegal sites will now have to play on licensed sites only, and their use of credit cards will be restricted. Needless to say, the exchequer will benefit more from the gambling activities as it is now easy to levy taxes on revenues earned through gambling. And there is, of course, the advantage that poker players and other gamblers with ill intent like money laundering will reconsider their attempts and the risks involved and abandon the idea of laundering money through South Africa’s online gambling sites altogether. Mississippi has an interesting history as far as gambling goes. There was a time when residents of Mississippi and visitors alike gambled on almost everything and did it almost everywhere. That was the 17th century era when Mississippi was not actually a formal state. Then, people could bet on races and participate in Lotteries just as easily as they played poker and other betting games. Gambling became so rampant in the area that as years passed it became a national concern. For that reason, when there was room to control it, the authorities clamped on it as if it was a menace. For many years, Mississippi residents had no casinos to visit and play poker or partake in any other betting activity; and they had no lottery to speak of. And considering that online gambling is a relatively new development, one that has come with advanced technology, it means that people in the state could not play online poker either when the brick and mortar casinos were closed down. The reason Mississippi frowned upon gambling for many years is that it created a bad image in the early centuries when the place was known for its vibrant trading activity. People from many parts of the state and beyond would come to this trading hub and take time off to enjoy gambling that was rife within the many riverboat casinos. Steamboats also provided gambling facilities and people would cruise and play poker and other betting games to spice up their leisure along the famous River Mississippi. Obviously, there were many people who went home richer than they had come, above their trading profits, but others, definitely had horrifying stories to tell. Without regulation, the gambling activities took place within a jungle-like environment and for that reason, cheating was prevalent. Some poker players were unscrupulous and victims spoke of card-sharps in many of the boats. Poker enthusiasts were, however, not deterred from partaking in their favorite pastime, and so they learn to survive and enjoy their games. But the vibrancy along the Mississippi was rudely cut short by the civil war that broke out in the 1860s. After the war, life in Mississippi did not return to normal. Trading was affected and, of course, playing poker and the rest of the gambling could not resume as before. Soon, as state laws were put in place, gambling was prohibited. It meant that poker enthusiasts could only play clandestinely. For almost a century there was not much gambling one could speak of in the state of Mississippi; at least not legally. 1990 saw the change of the gaming environment in Mississippi. The state passed the Gaming Control Act and people could now play poker and such other games without restrictions. Investors could now run casinos legally. In fact, many casinos came up along the coast and within the counties bordering River Mississippi, but that had to happen in concurrence with the local residents. Today, residents and visitors are happy to board boats sailing in the Mississippi and enjoy their poker and the breeze at the same time; or relax in the casinos on land while gambling. Still, the state laws in Mississippi have not liberalized gambling in its entirety. For instance, betting in horse racing is prohibited. The state does not also provide for a lottery. And residents of Mississippi are not allowed to engage in social gambling. This goes to show how keen the authorities are to keep gambling under control. Gladly, bingo games and raffles are allowed for charitable causes. It’s odd, though, that the state laws permit betting on dog fights. However, that permission is not of much consequence today as animal rights activists have ensured that the fights are almost non-existent. For gamblers wondering if they can play online poker in the United States, the short answer is that there’s no federal law prohibiting US players from operating online poker accounts and playing for real money. The long answer is somehow complex because when it comes to state law, the picture becomes hazy. Many states still maintain outdated gambling laws which do not address the issue of US poker sites directly. A few have chosen to tackle online gambling in general, with the exception of Washington State which explicitly forbids online poker. Playing online poker legally in the US is not a black and white affair, especially when you consider new forms of poker sites are being tested in courts across the country; for instance, subscription-based poker rooms defy classification within existing US gambling laws. Thanks to the complex nature of the topic itself, there will always be confusion surrounding online poker law in the US. But one thing remains clear; US players still have a variety of legal ways with which they may play poker online for real money. On April 15th, 2011 the United States government indicted a number of poker rooms – Full Tilt and Poker Stars among others – on allegations that, by accepting deposits and processing withdrawals from online players, they had broken the law. The poker rooms mounted a spirited defense against the charges, with Poker Stars’ final settlement with the government resulting in their acquisition of Full Tilt’s assets. The charges against the two companies were eventually suspended with no admission of wrongdoing. Pundits estimate that the size of the poker scene in the US remained relatively stable after Black Friday, with online poker players choosing to move on to sites that accept American players. [Unlawful Internet Gambling Enforcement Act] law of 2006 may have changed the online poker scene but it did not expressly outlaw online poker. This law simply resulted in Party Poker, at the time the largest poker site in the world, opting out of the American market in response to shareholder pressure. However, Poker Stars still allowed US players. Their US market share was quickly taken over by Full Tilt Poker as dozens of other poker rooms that had followed the two out of the US market continued to accept players from the US. Basically, the UIGEA law had little practical impact on the nature or size of the online poker market and much like Black Friday, this law only resulted in a rearrangement of the market but not a reduction in its liquidity. 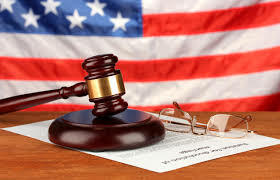 In the ensuing months and years, US players have been able to enjoy a lot more choices of poker sites legally, thanks in large part to federal and state regulation of online gambling. Currently, the states of New Jersey, Nevada and Delaware have passed laws which explicitly legalize and regulate online poker, with Nevada leading the pack among US states as it gave the US its first licensed real-money poker site in 2012. 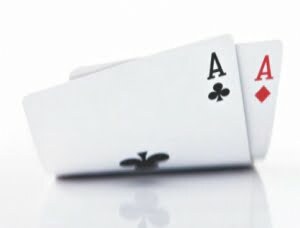 Gambling experts have projected that more states will soon follow the pioneering model established by the three states, which mean a range of online poker sites from one state are connected to poker rooms of other states to form an even wider poker network nationwide. Several attempts have been made to pass federal poker regulation over the last few years to no avail, but the Nevada model could be upended should federal regulation pass before states roll out their own poker laws. Experts have projected the US federal government might beat individual states to the pot owing to a building interest in the online gambling world being exhibited by powerful voices in Congress. And while many might differ on the path such regulation may take, all agree that regulation of online poker is inevitable. The general consensus here being federal regulation should happen soon lest states take the lead and quickly establish their own regulatory regimes within the next two to three years.